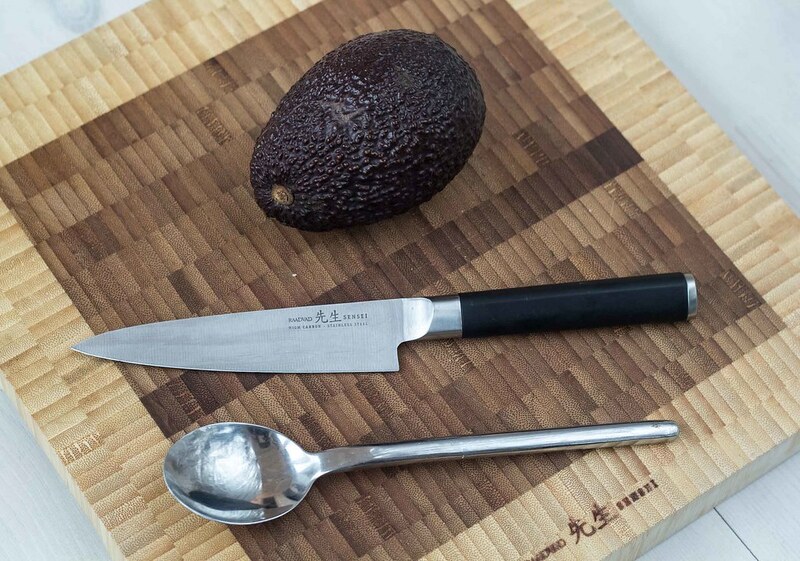 In this guide we will show you how to cut and dice an avocado the very easy way. 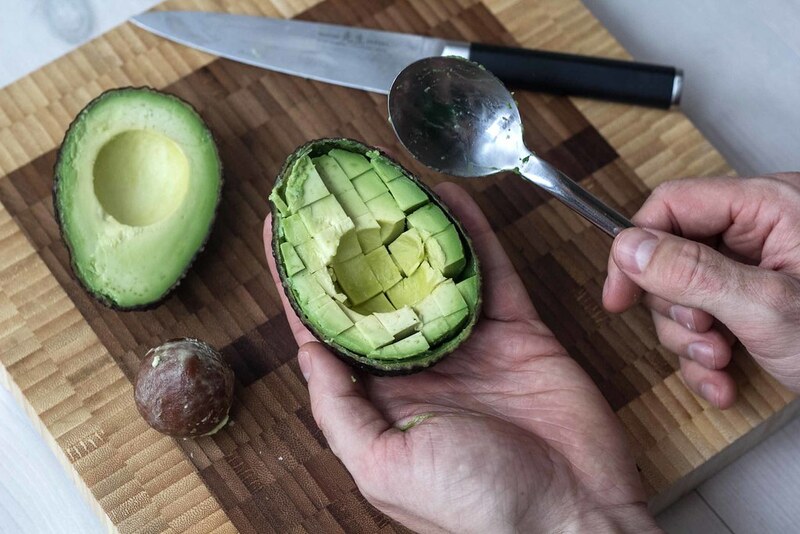 We normally use avocado everywhere we can because it taste so delicious and because it’s supposed to contain many great vitamins and oil that are good for your body. Some people peel the avocado and cut it into pieces on a chopping board. 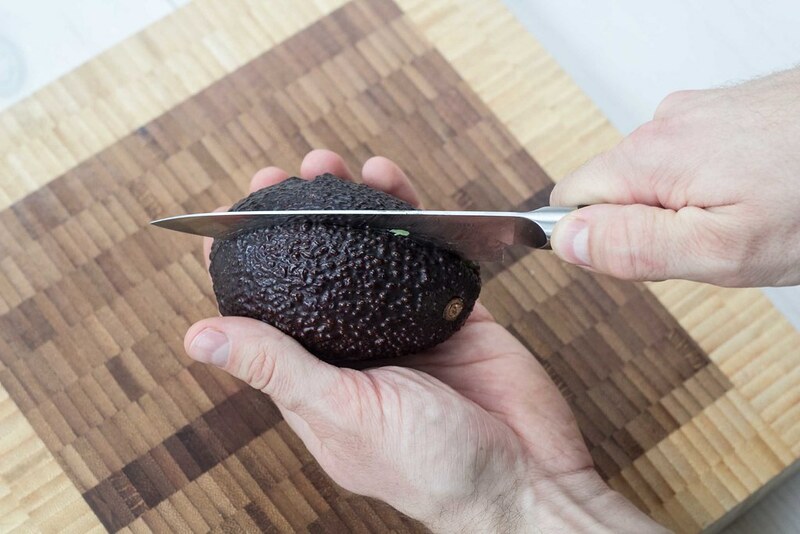 However, you don’t need to peel the avocado before you cut it. 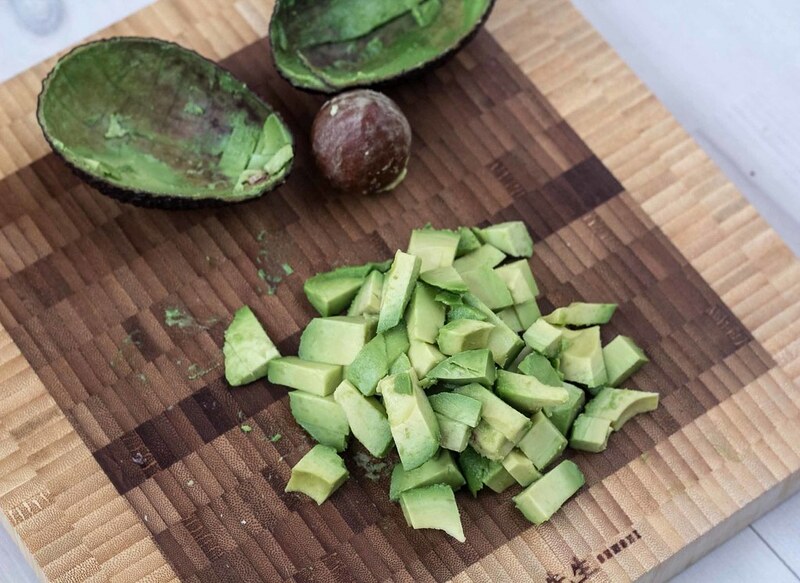 You simply start by cutting the avocado into two pieces and remove the large seed. 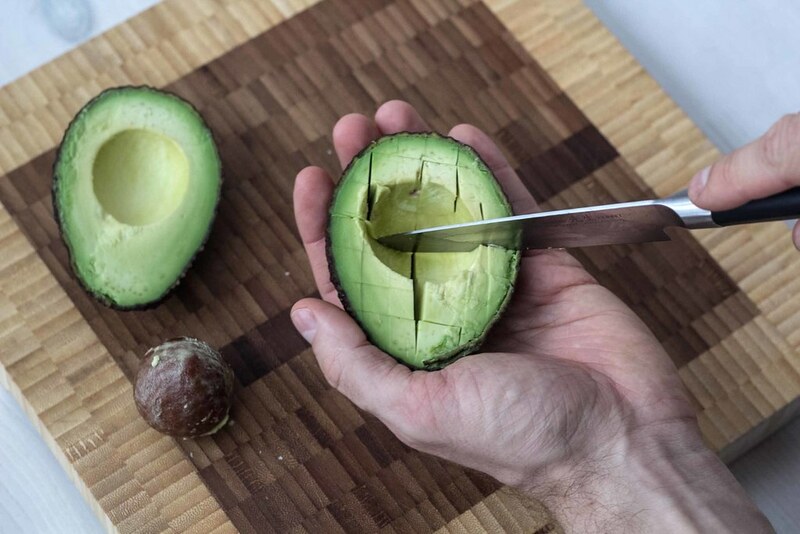 Then you use a knife to cut a grid in the avocado and then use a tablespoon to scrape along the inner shell/peel of the avocado so that all the avocado pieces falls out. 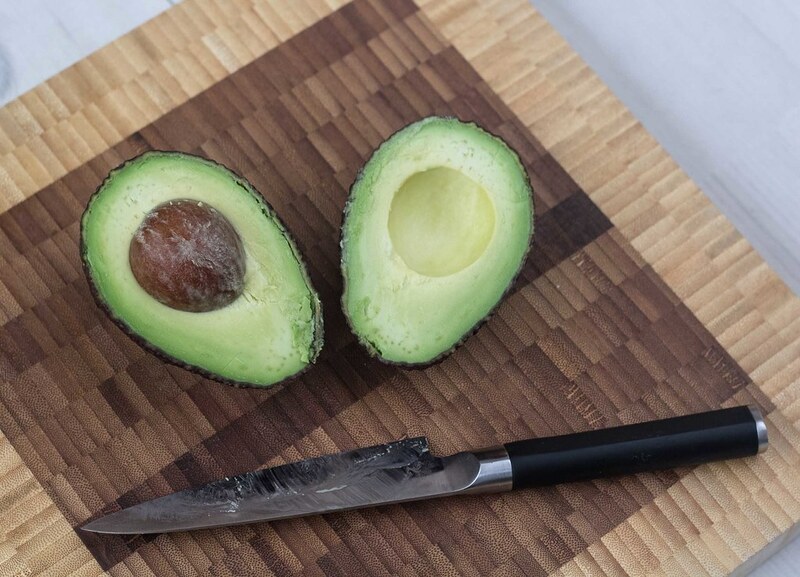 Step 1: Start by cutting the avocado into two pieces. Make one long cut into the seed all way round the avocado. Step 2: Use the knife to remove the seed. 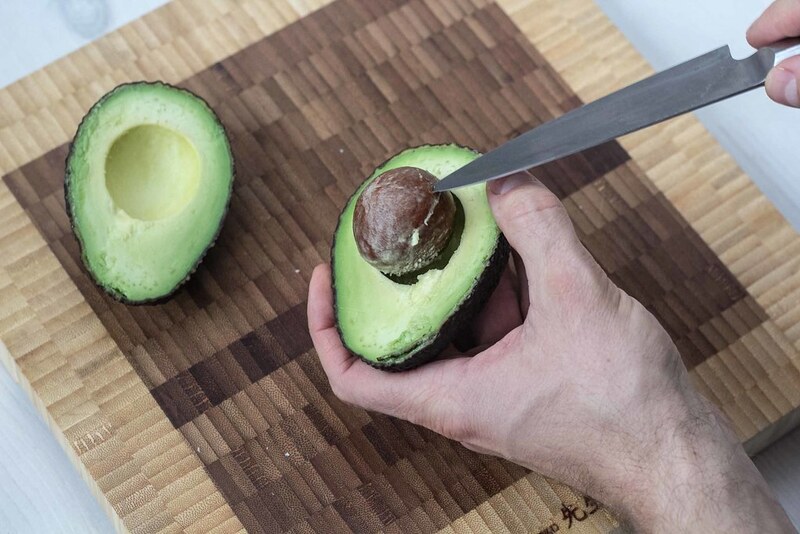 Step 3: Use the knife to cut a grid in the avocado meat. Cut through the meat but not through the peel/shell. 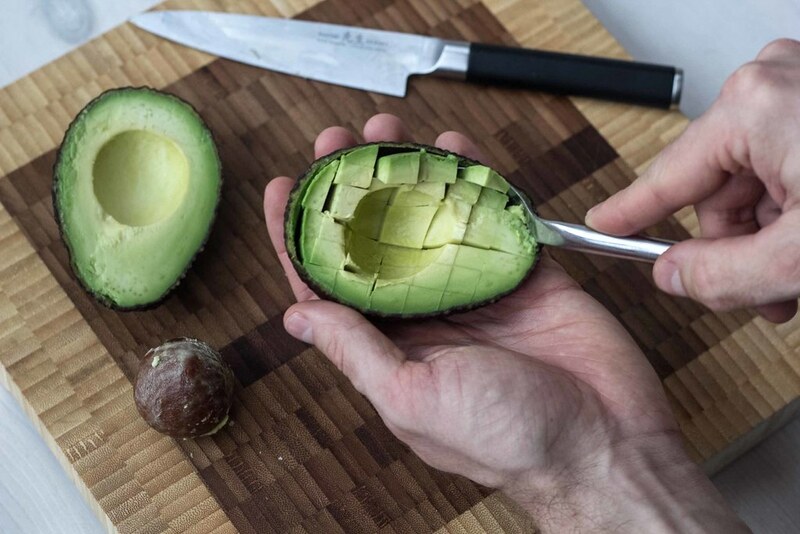 Step 4: Use a tablespoon to scrape along the inner shell/peel of the avocado. The diced avocado pieces will fall out.